The essence of meditation includes settling & stabilizing attention, encouraging embodied presence, developing mindfulness-wisdom of the patterns within thoughts & emotions, and bringing a warm & caring attention to all we experience. In relationship with each other, these elements of meditation practice offer us the freedom to respond with wisdom & compassion to the challenges we experience in ourselves and in the world, rather than reacting out of habitual conditioning. As we release reactivity, we uncover our inherent capacities for joy, wellbeing and connection. This silent retreat will offer guided meditations and instructions in sitting and walking meditation, Dharma Talks, evening chanting, and short periods of optional Qi Gong practice. Embodiment: Informed by the 1 st Foundation of Mindfulness & Somatic Experiencing. Concentration: Basic techniques to support the settling of mind-body and stabilizing of attention. Heart Practices: The spirit of the Divine Abodes will support awakened heart-full attitudes of mind during our retreat. Wisdom-Awareness: Informed by teachings from the Thai Forest Tradition, how mindfulness matures into mindfulness wisdom and leads to letting go. To support deepening practice, participants will check in with the teacher in a small group, as well as a few optional sign-up 1:1 check-ins. Our small residential retreat will take place at the beautiful Camp Galilee Center located on the lovely east shore of Lake Tahoe. Embodied heart-full awareness of kayaking is another wonderful optional practice offered at this retreat (weather permitting). Registration fees are $490, if registering before June 30, 2019. After June 30 the cost is $510 (this pays for lodging and three meals a day). A minimum $200 deposit is required to secure your spot. The remaining balance is due by July 31, 2019. Please make checks out to DZIMC. Compensation for the teacher and staff is not included in the registration fees. There will be an opportunity to offer dana/donations to the teacher and retreat manager at the end of the retreat. Full refunds are given until June 1st, 2019. After June 1st, 2019 the refund amount is minus $60. After July 11, 2019 no refund is given. REGISTER ONLINEClick Here to Register Online for Heather's Retreat. DOWNLOAD REGISTRATION FORMSClick here to download the forms to send by mail. There may be some construction happening inside a new constructed building at the retreat center this year. We are working with the center to keep distractions to a minimum. Heather Sundberg has taught insight meditation since 1999, and completed the Spirit Rock/IMS Teacher Training program under Jack Kornfield & Joseph Goldstein. She is currently a member of the Spirit Rock Teacher Council. Beginning her own meditation practice in her late teens, for the last three decades, Heather has studied with senior teachers in the Insight Meditation (Vipassana) and Tibetan (Vajrayana) traditions. She has completed 3 accumulated years of retreat, and has sat 1-3 months of retreat a year for the last two decades. Between 2010-2015 she spent a cumulative one-year in study, practice, and pilgrimage in Asia. In addition, she has training in both Somatic Experiencing and Hakomi Mindfulness Somatic Therapy and offers individual meditation support sessions to students world-wide. 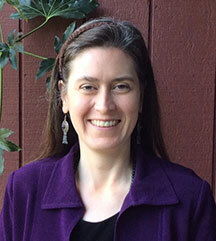 Since 2011, she has been a Teacher at Mountain Stream Meditation Center and sister communities in the Sierra Foothills. She teaches retreats nationally & internationally. For more information about Heather visit www.heathersundberg.com.